In 2007 Israel Mosehla opened his own record label/company, Kgabo Music Productions, which seeks to help upcoming artists by discovering, developing and exposing their talent. 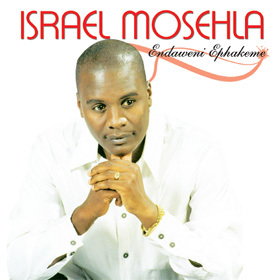 His first release under Kgabo Music was an album called Endaweni Ephakeme. The album did very well and got great airplay on radio plus appearances on television - internationally, nationally and locally. The cd has now been released on super-budget price due to there still being a demand - it's a great addition to any "3 for R99" section and we have had great movement on the CD at the new great value price.